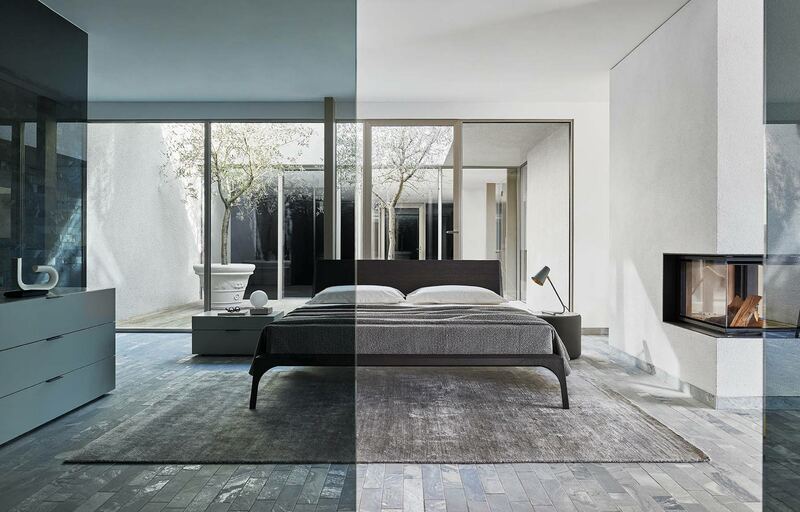 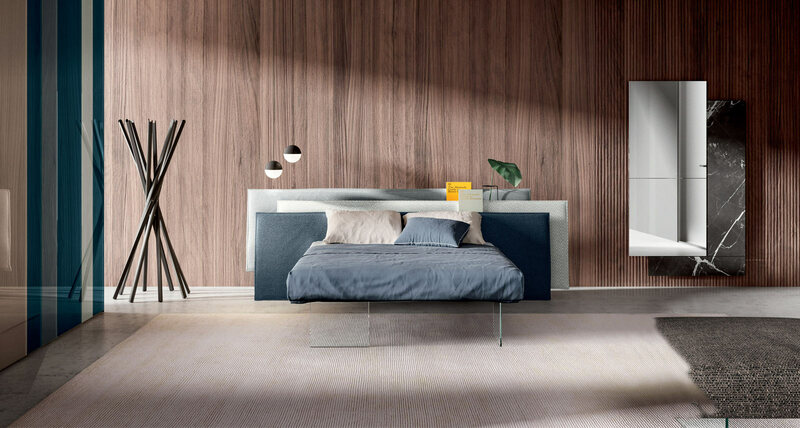 The essential glamour of design interprets the appeal of linearity through the Downtown bed. 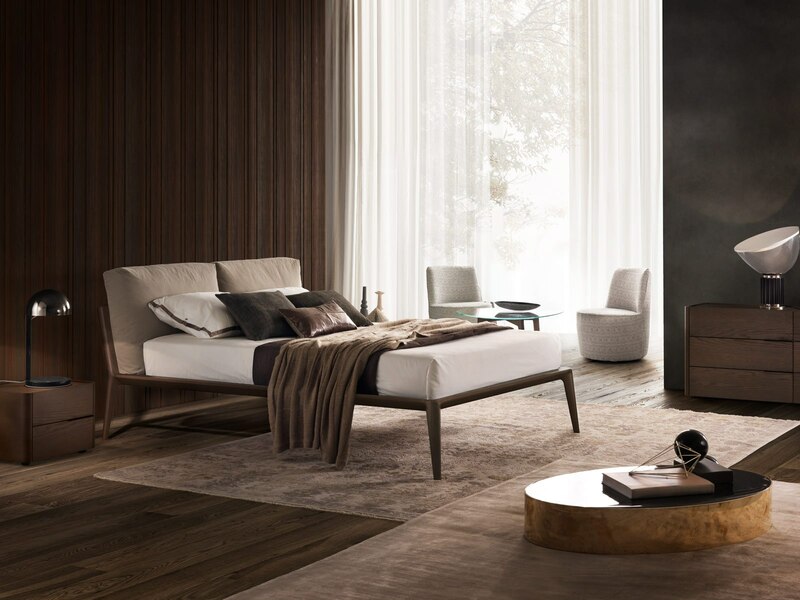 The distinctive feet, lifting the model from the floor, confer elegancy and global solidity. 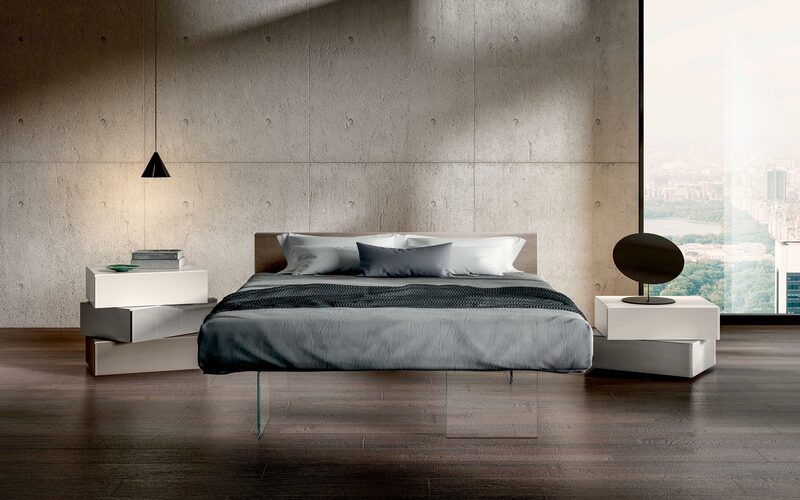 The feet are made of tubular stainless steel with galvanic Black Nickel treatment. 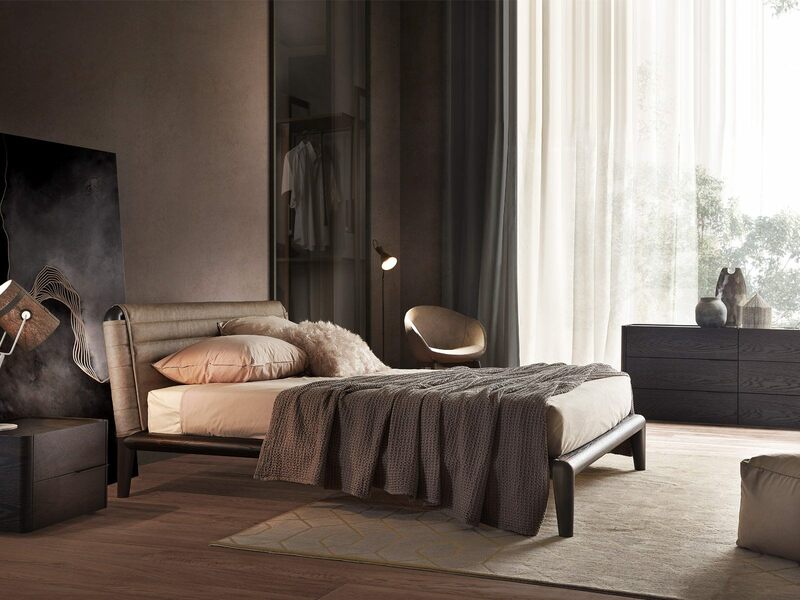 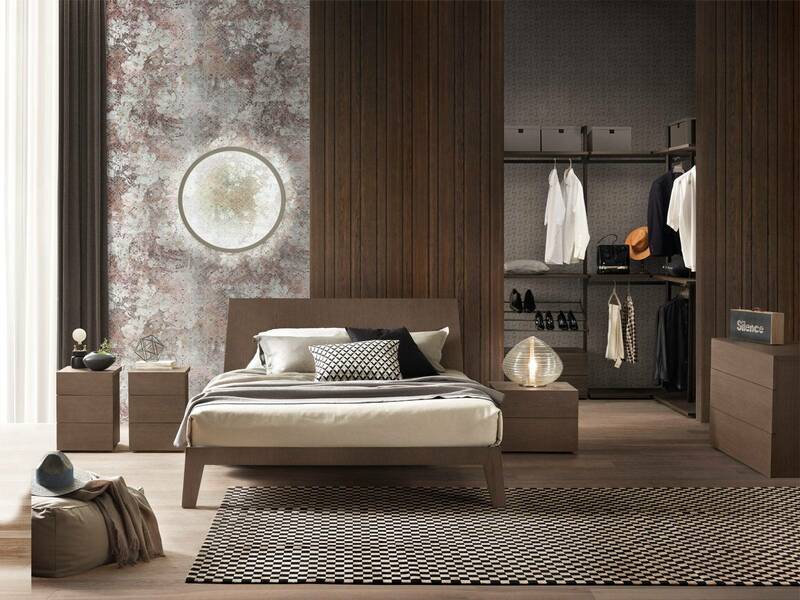 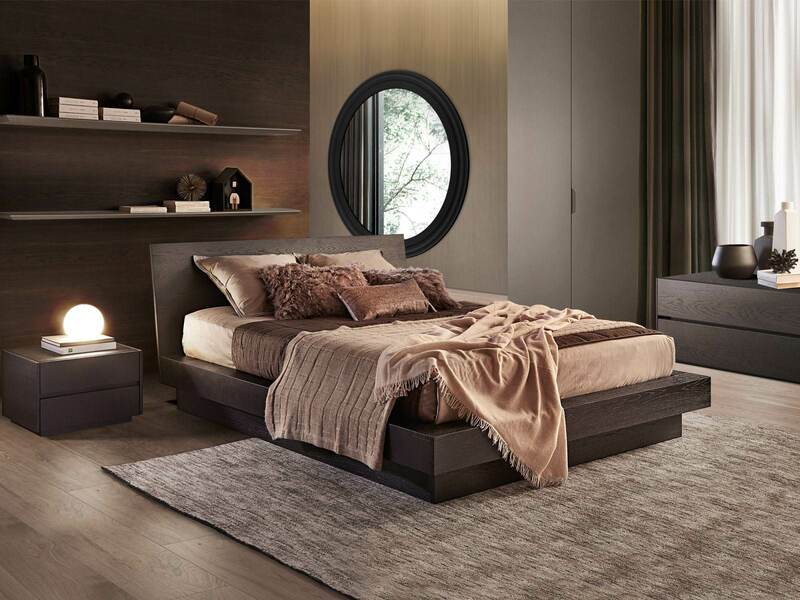 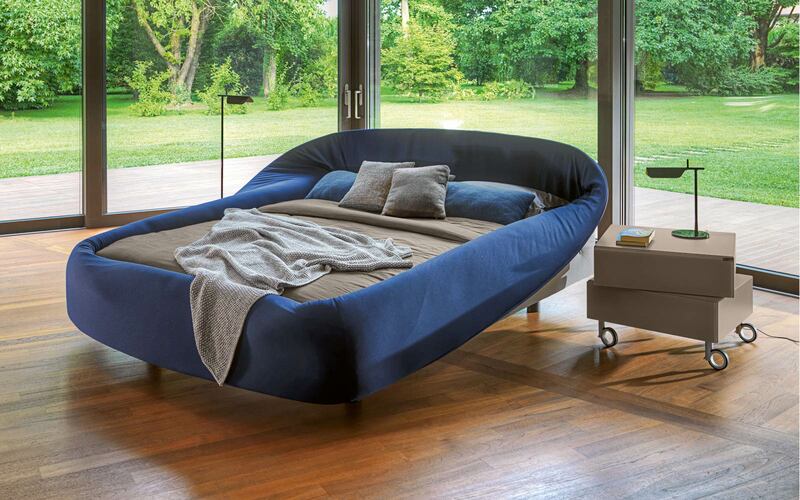 Covers for this bed are available in wide range of fabrics (completely removable) and leathers.